Diagnose your basement moisture problem, learn everything you wanted to know about basement waterproofing, and get the facts you need to make an informed waterproofing decision. 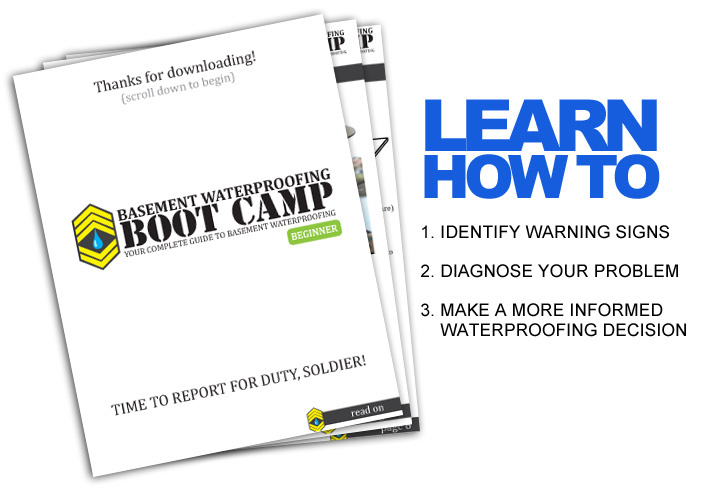 Download our free e-book, Basement Waterproofing Boot Camp! Fill out the form below and receive our free Basement Waterproofing Boot Camp eBook!